PERC closures usually coincide with the Alpine School District holidays. If you would like to know exactly when PERC will be closed; find and click on the TAB that says "CONTACT US & HOURS" (above). In this tab you will find our hours of operation, location, phone number, and upcoming closures and holiday instructions. It has been over a year since Myrna Harbough has passed on, the previous director of 23 years for PERC. She loved PERC and was loved by all. PERC is still going strong with all its support from the community and volunteers. The donations given to PERC in Myrna's behalf were used to buy new items that are things she would especially have liked for us to have. A label on those items designate the items bought in her memory. Look on your items to see if they have "the labels." We want to remember Myrna for all the hard work she put into PERC and in helping PERC continue for all these years. Thank you Myrna. 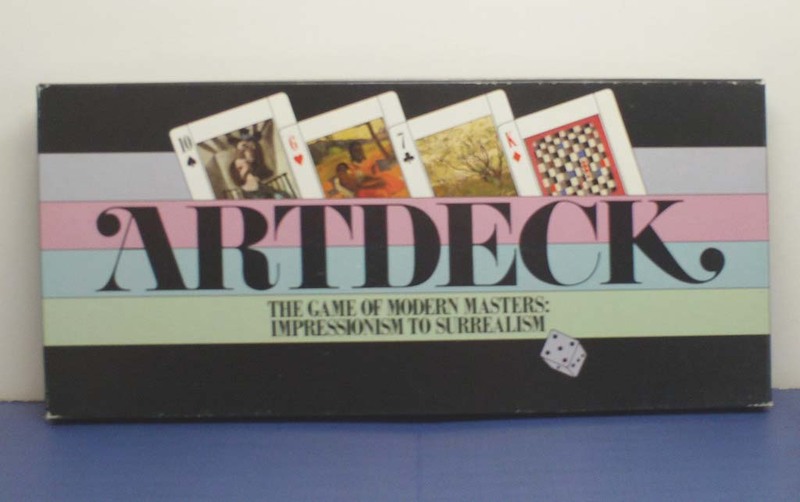 ARTDECK is a game that offers art lovers and game players an aesthetic pleasure and an exciting way to learn about modern art. There are 13 artists taken from between the impressionism era to the surrealism era. Each of the 13 artists will have four of their masterpieces each. You can test your memory of artist information, play the game or review and learn about their art. This is an enjoyable educational art game.